Attending a timeshare presentation is a great way to get free stuff. All you have to do is listen to their 90-minute presentation and say no to the timeshare. Easy peasy, right? The timeshare industry is a big one generating revenues over $8.6 billion a year. The whole reason a company does a timeshare presentation is to get people to buy. The salespeople are under extreme pressure to make sales. They are very good at what they do and have no qualms about using strong tactics. Here are a few things to consider before going to an infamous timeshare presentation. If you do it right you might make it through without losing your life savings. Be on your guard about everything. Don’t sign anything without thoroughly reading it first. Don’t accept any gifts without understanding the terms and conditions. Oftentimes you receive a free or discounted vacation for listening to the spiel. They will use that against you as they try to coerce you into buying. Accepting the gift doesn’t legally require you to buy anything. But they’ll sure make it sound like it morally does. That being said, make sure that any gifts you do receive are worth it. You will be giving these people several hours of your time. And you will have to withstand a lot of pressure throughout the process. The value of the gift needs to be worth what you will be going through. Sometimes they offer stuff like luggage or cameras. To be honest, that probably isn’t worth the onslaught that you will face. The pressure to buy is intense. The salespeople have a long list of tactics to convince you that their timeshare is an awesome deal. Take a moment and look through a few online message boards and you’ll see. There is story after story of someone not intending to buy and being pressured into it. Timeshare salespeople are scary good at what they do. Don’t bring your checkbook and don’t bring extra credit cards. Most of the time they will require you to bring at least one major credit card. Pick one that has very little available balance on it to ensure you can’t use it. Don’t get cocky and think you can withstand their tactics on your own. Make it less stressful for yourself. If you don’t have the money in hand, you can’t buy on the spot. The only thing worse than buying a timeshare is buying it with money you don’t have. Salespeople will offer you all sort of amazing financing deals. They want to help you buy on the spot. That way you can take advantage of whatever deal they’re offering. They’re only trying to help. That’s how they’ll present it, at least. But if you stop to think about it, you would have two large, ongoing financial obligations. You’ll have to keep paying the maintenance fees and all the interest on the buy-in. Imagine what would happen if you lost your job? You can’t even sell it for a reasonable amount to get out from under it. Which brings us to our next point. Do a little research and know the resale value of that company’s timeshares before you go. This can help you in a couple ways. First, the salesperson will often tell you that if it doesn’t work out you can always sell it later. Of course, the idea is that you would recoup what you put into it. The salesperson will either outright lie and tell you that, or at least let you assume it. The second way it can help is to get you out of there faster. Find their resales on eBay and bring in a copy of some completed auctions. You might find that your 90-minute timeshare presentation suddenly gets a lot shorter. 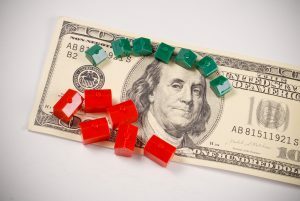 A classic timeshare salesperson tactic is to portray the timeshare as an investment. Do your research beforehand so you won’t fall for this trick. An investment is something you put money into, expecting to get more money out of in the future. You will never get more money out of a timeshare. Check out the real costs of a timeshare using this handy calculator. You pay a huge buy-in up front. Then you pay hefty maintenance fees every year afterward. Plus, you can only sell it at a loss. There’s no gain in there for you, except maybe a couple of really expensive vacations. Whatever you do while you’re at the timeshare presentation, don’t act interested. If you ask questions or appear engaged, they will take that as a sign they can make the sale. They won’t let you go until they do. 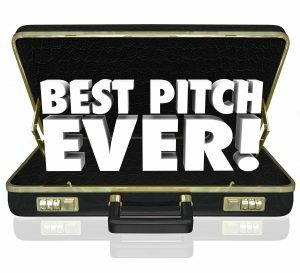 If you survive the timeshare presentation with your savings intact, enjoy! You deserve some rest and relaxation after the onslaught you endured. Some people work the timeshare system against these companies. They figure out how to survive the timeshare presentation. Then they start calling up companies asking what discounts or free gifts they offer. If you can stomach it, this can be a way to save big on your vacations. But you’ll need nerves of steel and no qualms about working the system. What do you do if you didn’t survive a timeshare presentation? Now you’re full of buyer’s remorse but don’t know how to get rid of it. Resale seems to be your only option. But you’ll take such a loss that it doesn’t seem like much of an option. Don’t worry, you do have another option. One that involves getting back much of your “investment”. Contact us today to learn more. With all the payments, fees, and headaches that come with timeshares, it’s no small wonder that consumers wish to get rid of them. However, getting rid of your timeshare is no easy task. Getting rid of your timeshare can be done by defaulting on your contract, giving it away, or selling it. Defaulting on your timeshare is not the most ideal, but in certain situations, it can be an option of last resort. Selling your timeshare or getting rid of it are the most viable options for getting rid of your timeshares. Whether you’re selling it, giving it away, or defaulting on it, it’s important to be informed about your options. 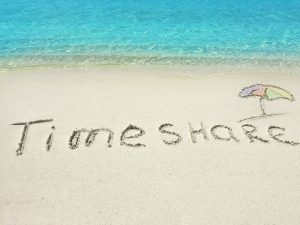 Continue reading to learn how to get rid of a timeshare! This is often the first choice for timeshare owners who are looking for how to get rid of a timeshare. However, it is important to mention that getting rid of a timeshare by selling it can be a difficult task. 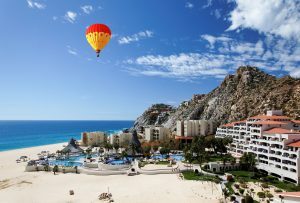 The resale timeshare market is a difficult one to navigate. Some people selling their timeshares have listed their properties for as little as $1. They’ve even offered to pay all closing costs and fees for the buyer. Contrary to what the company told you when they sold you the timeshare, the market is not that lucrative for private sellers. Many resorts offer the advice of using an “approved” resale company for those who wish to get rid of their timeshare by selling it. Resale companies will act much like a real estate agent, they will list the timeshare for you and assist with the paperwork and anything else involved in selling it. However, it is important to note that these companies will charge fees for listing the property on top of closing fees for when it sells. The best way to resell your timeshare is to study the market and at a time of high demand, sell your timeshare for a low price. Maybe not as low as $1 but still low enough to entice a buyer into buying your timeshare. Listing your timeshare in the classifieds, eBay, and Craigslist, are good ways to ensure your listing gets the most exposure and the best chance of being sold. Should you run into issues in actually selling your timeshare, there is always the option of giving it away. 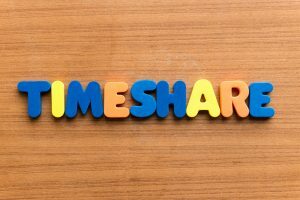 Giving away or donating your timeshare can be quite the viable option when you wish to get rid of it without too much fuss. There are a number of charities who are willing to accept timeshares as donations. However, there are still a few things to be cautious about. Before giving away the timeshare, and especially before donating, it’s best to be sure the charity or person taking it over is willing and able to make any payments left on it. If your timeshare is paid off, meaning you now own it, be sure the interested parties are willing to pay the annual upkeep fees. Most charities have funds and budgets set aside for the fees associated with timeshares, but it is always wise to check. Especially with a smaller charity which may not know about the annual upkeep fees. Even when you own the timeshare there are still fees attached to it that have to be paid. These fees can rise at an average rate of around 5% per year. This can often lend itself to the reasons for wanting to get rid of the timeshare, as well as making it difficult to get rid of. Be sure whoever is taking over the timeshare is aware of all that entails especially if they are a family member or close friend. When all else has failed, and as a last resort, you can simply stop making payments and walk away, allowing your timeshare to go into default. This is the riskiest of options since there is no way to know how the resort will react to the default. They could aggressively go after you by using collection agencies and techniques to ensure they receive their money. Another option for the resort, especially for those with a tight budget, is to simply take the timeshare back and attempt to resell it themselves. There are other consequences to consider besides collections agencies, there is the damage to your credit score, as well as the possibility of being sued and taken to small claims court for the full amount owed and the company’s legal fees. Negative information can appear on your credit report for as long as seven years before finally dropping off your report. Defaulting on your timeshare can also result in painful foreclosure proceedings and fees. Defaulting on your timeshare should be an absolute last resort when looking into how to get rid of a timeshare. Deciding you want to get rid of your timeshare can be an easy decision. However, actually getting rid of it is where the difficulty comes in. Whether you plan to sell it, give it away or donate it, or simply walk away and risk defaulting, it helps to be informed about your options and what each entails. Even armed with all the knowledge available on how to get rid of a timeshare, it’s not unusual or even worrisome to be overwhelmed by it all. Should you find yourself wishing to unburden yourself of a timeshare and overwhelmed by the whole ordeal. Or if you feel trapped like there is no way out. 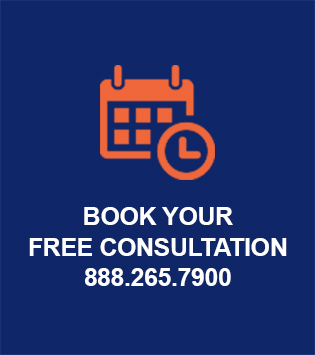 Contact us today for a free consultation on the best options for how to get rid of a timeshare!